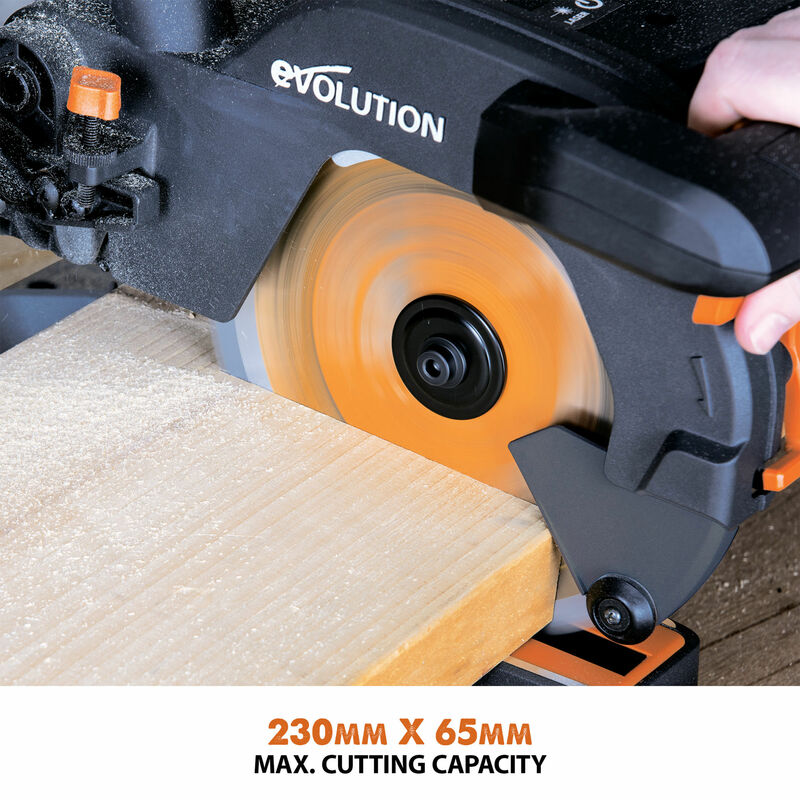 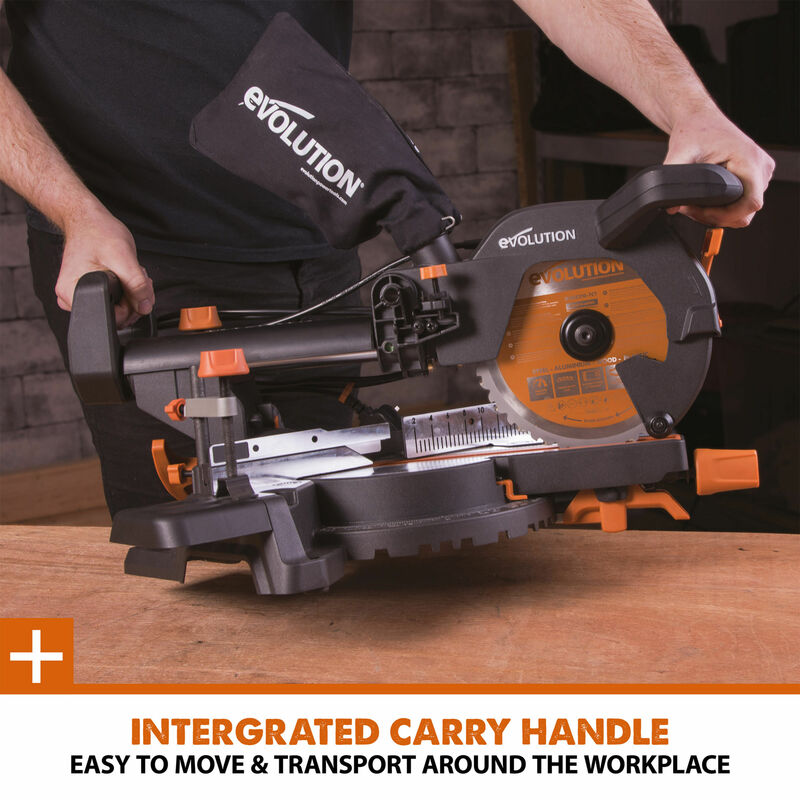 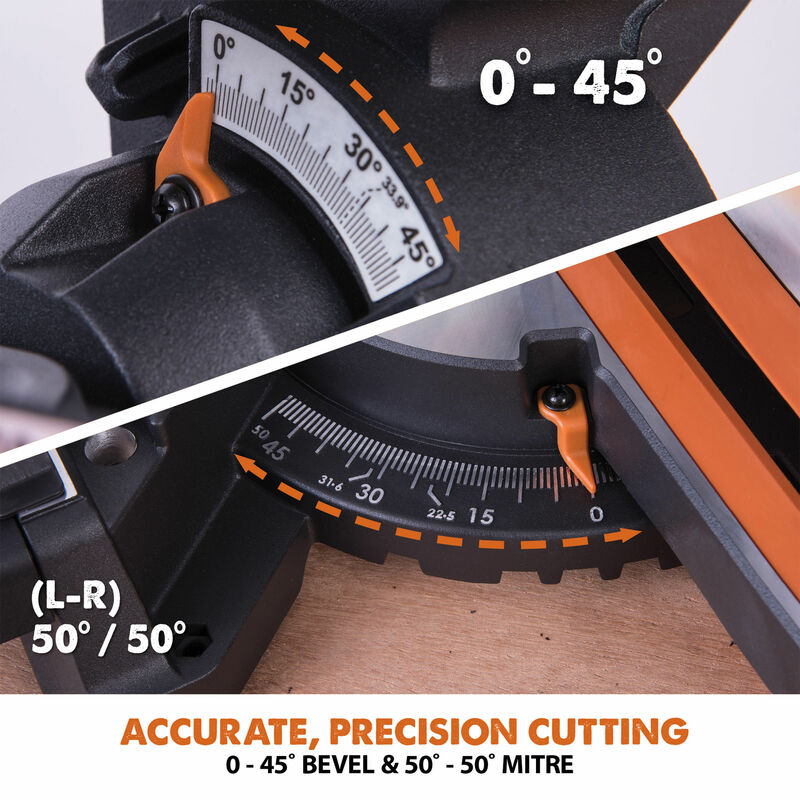 The Evolution R210SMS+ 210 mm multi-material sliding mitre saw can cut a variety of materials such as mild steel, aluminium, wood even with embedded nails, plastic, copper and more thanks to the 24 tooth TCT blade and optimised gearbox and motor speed. 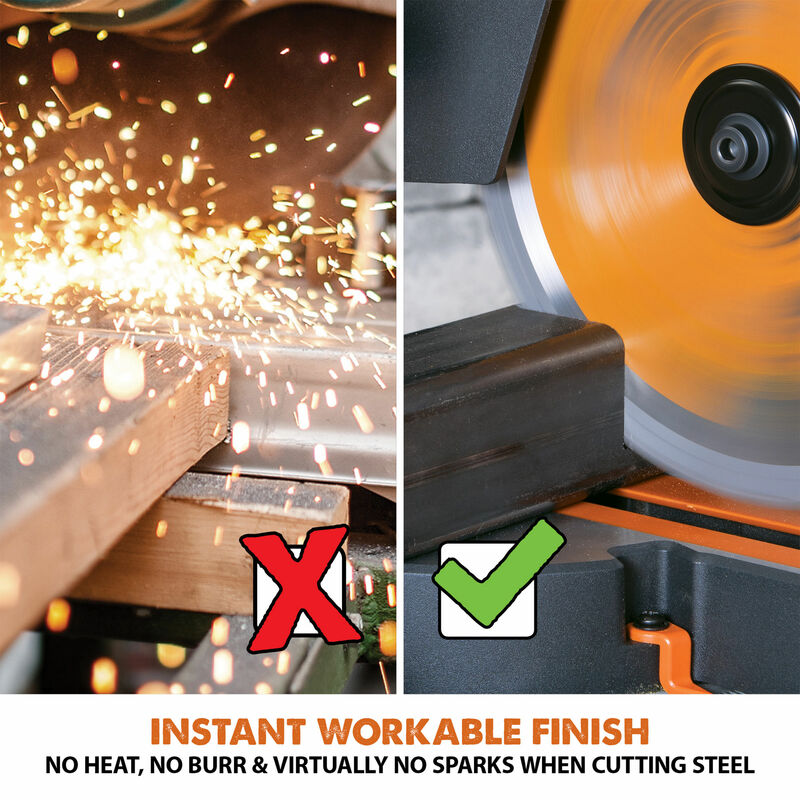 When cutting mild steel the saw produces a square, ready-to-weld cut with no heat, no burrs and virtually no sparks, far superior to abrasive cutting methods. 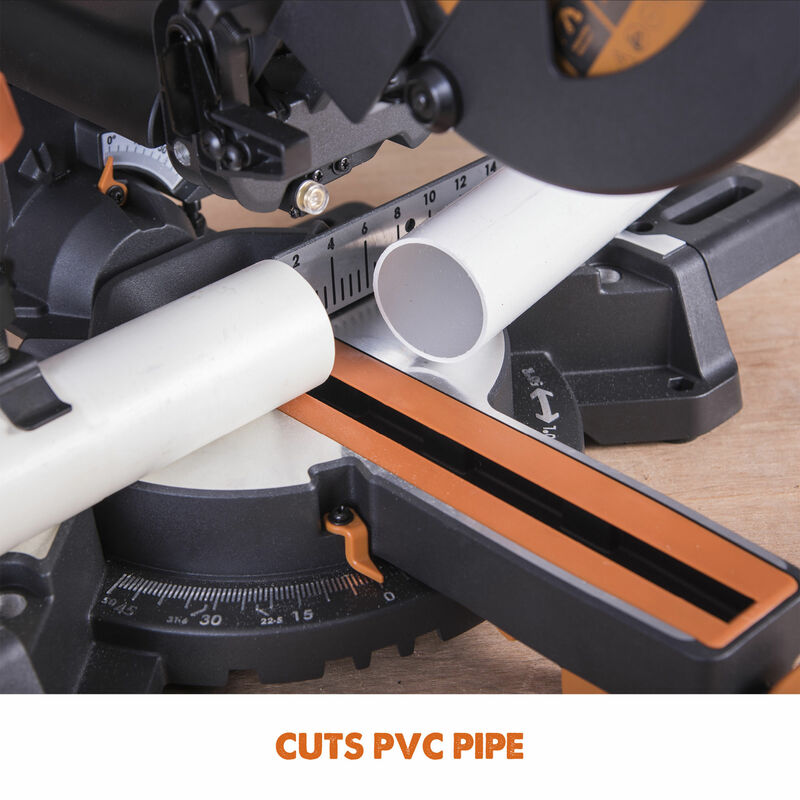 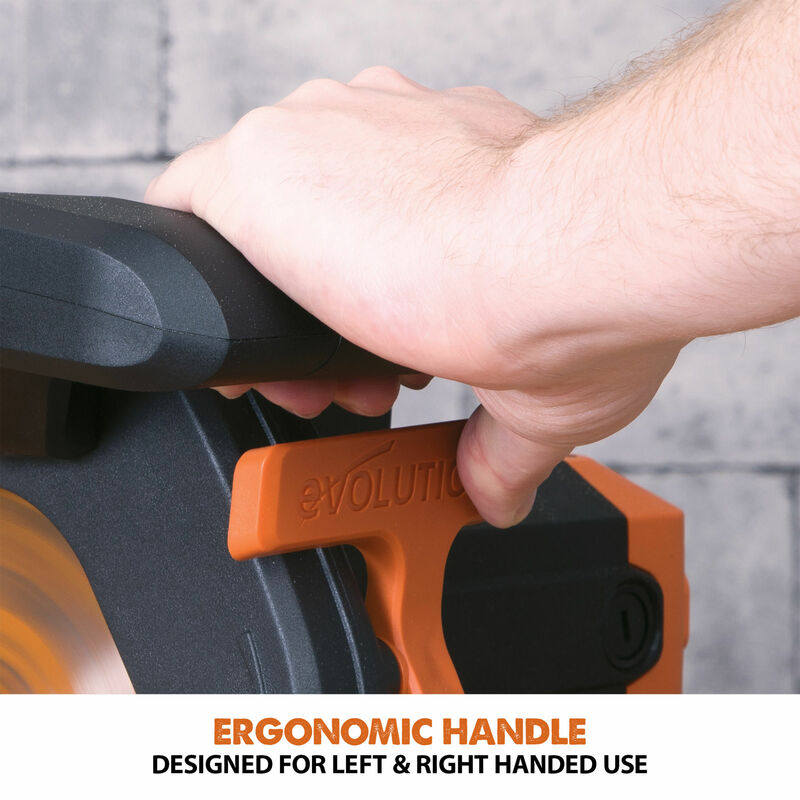 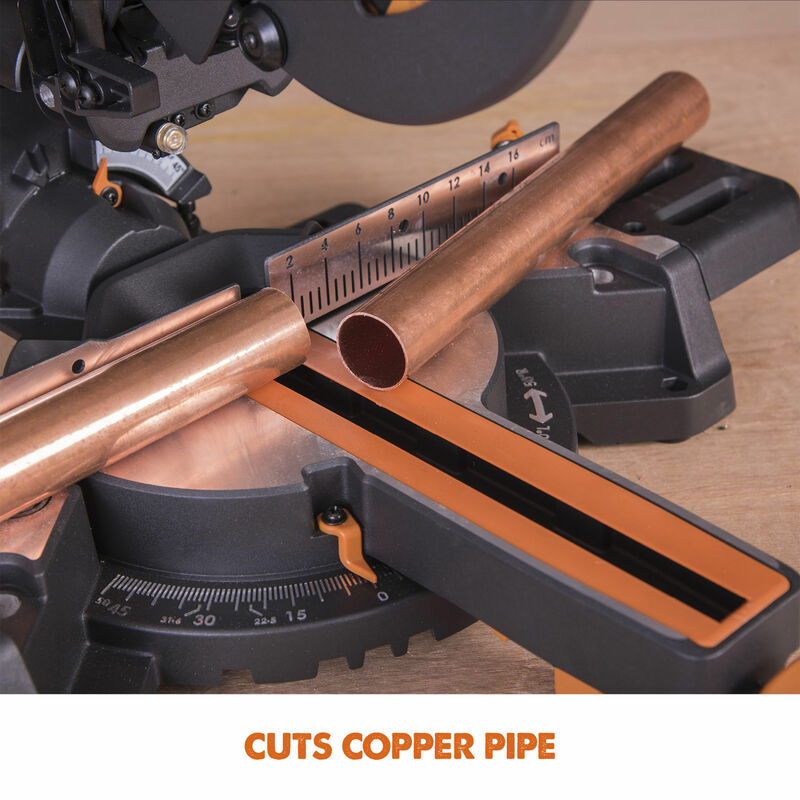 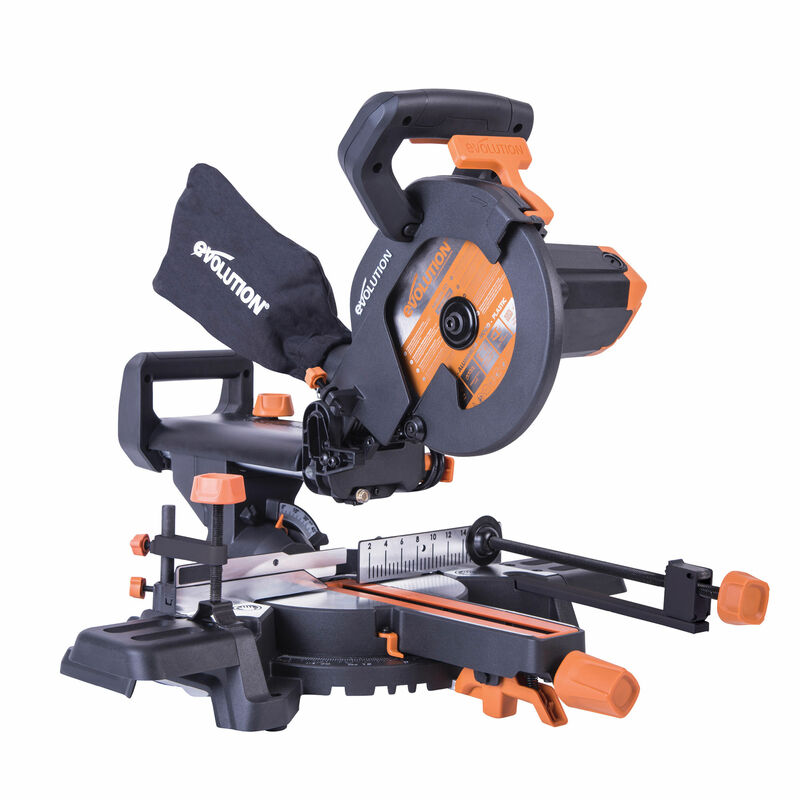 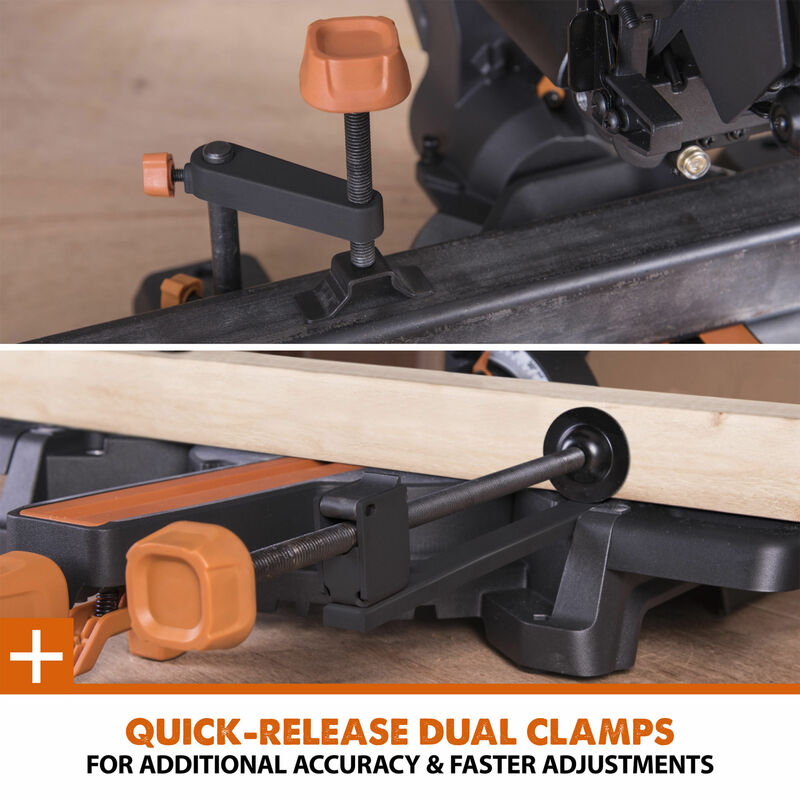 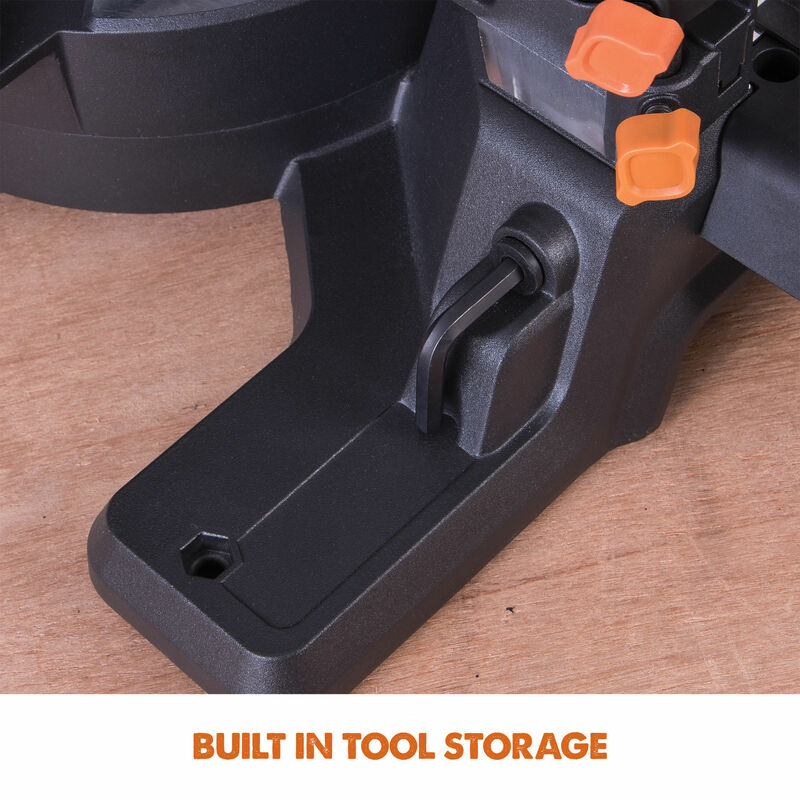 The saw is perfect for on-site use and is available in 230 V and 110 V. An invaluable tool for the home workshop or on the job, R210SMS+ saw is ideal for cutting copper pipe, plastic pipe, aluminium channel, cable tray, softwood suchas skirting board, architraves, MDF, hardwood like oak and ash plus much more. 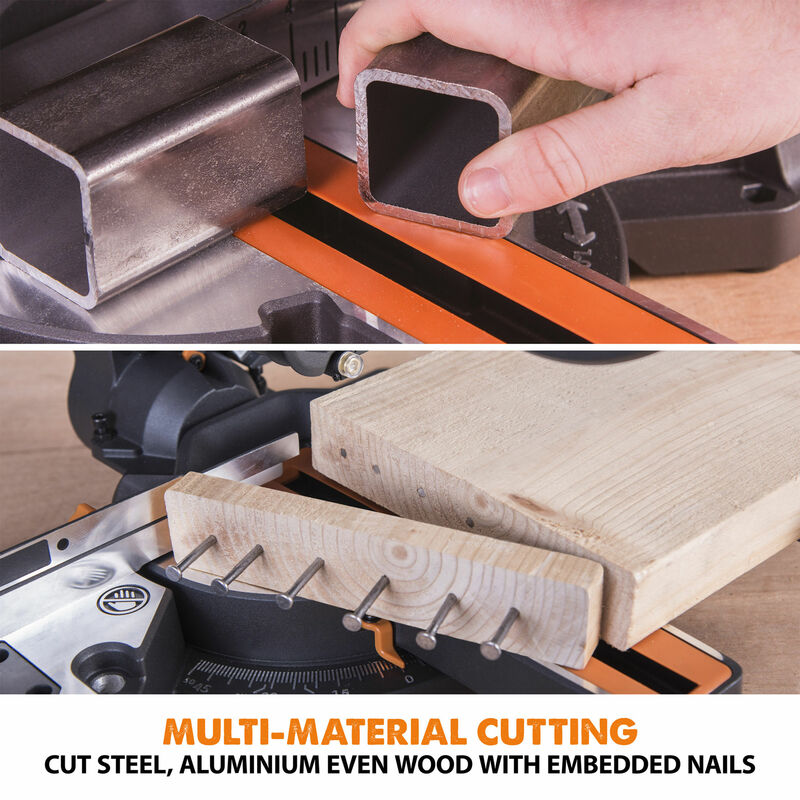 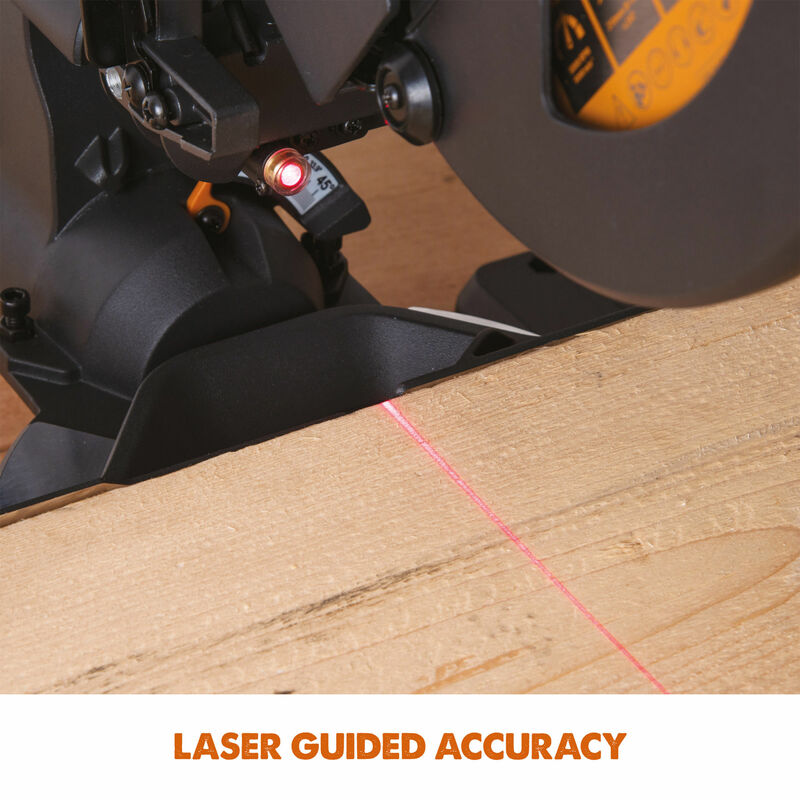 When working with reclaimed timber the saw slices through embedded nails, screws or staples with ease. 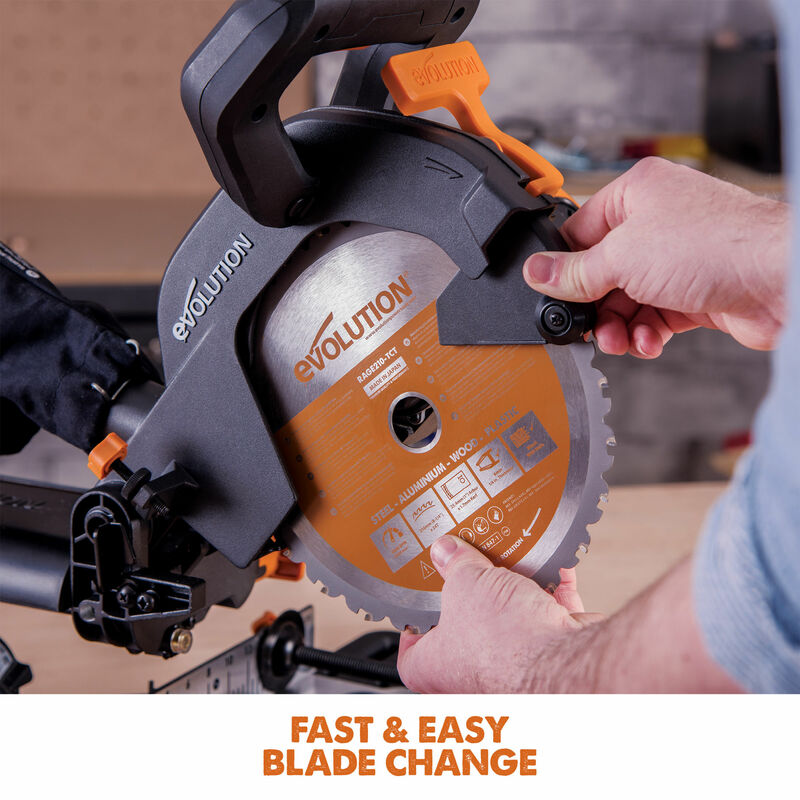 The optional diamond blade (sold separately) completes the package, enabling you to cut brick, stone, concrete and unglazed tiles.The Evolution R210SMS+ is supplied with a R210-TCTmulti-material blade (24 teeth) with a 210 mm blade diameter and 25.4 mm bore diameter.